Prior to the launch of IFF Panama in 2012, Panama’s film production was virtually non-existent. With the aid of the festival, the national film fund, and impetus created by an influx of foreign shoots, local productions have secured an increasingly important role at the domestic box office says the influential Variety magazine, but includes pointed references to the country’s institutional corruption. Several projects now enjoy multi-territory releases – such as Abner Benaim’s “Ruben Blades Is Not My Name” and Arturo Montenegro’s “Frozen in Russia,” both released in 2018. IFF Panama has increased visibility for local films and helped local helmers set their sights on the international market. 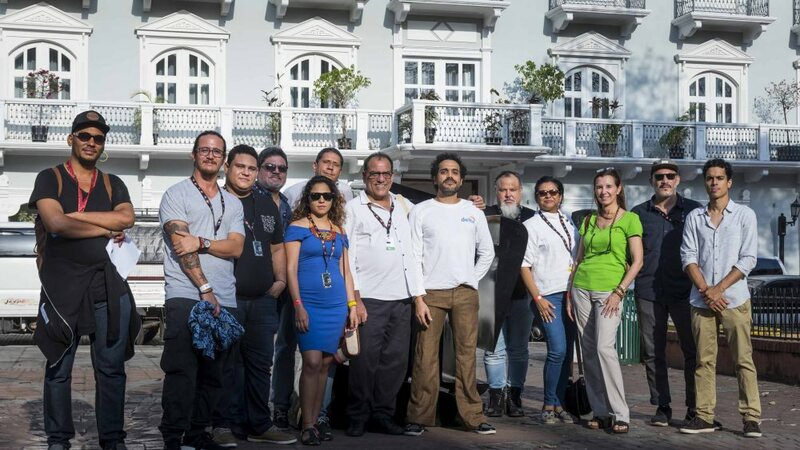 Seven Panamanian films are screening at the 8th IFF Panama; other promising projects are in production or pre-production. All projects explore the complex, multi-faceted dimensions of Panamanian culture, ranging from tropical rainforests and indigenous tribes to the legacy of decades of U.S. presence. Miguel González’s half-hour documentary, “The Fourth Estate,” turns on corruption in a country that has one of the world’s highest levels of social inequality. González plans to release the short documentary online after the festival in order to generate debate in the build-up to Panama’s May 5 general election. He aims to release a longer feature-length version later this year. The fest’s Panama Perspective section includes four films. José Ángel Canto’s black-and-white feature, “Dry Season” revolves around three young people in their early twenties, an old gentleman and a native woman from the Kuna tribe. Canto stars as one of the youngsters. The pic was shot 13 years ago, but had to remain on the shelf as he searched for an editor and post-production funding. Canto studied at the Cuba Film School and thinks that this helped him bring an innovative visual aesthetic and greater social awareness to the film. Lucho Araújo’s 54-minute documentary “Grandchildren of Jazz” received an award from Doc TV Latin America and was recently aired by several Latin American broadcasters. The pic, shot over a two-year period, is about a group of six teenagers living in Panama City’s historic quarter who are keen jazz players and are preparing to record their first album. Two well-known Panamanian jazz musicians, Idania Dowman and Carlos Garnett help the teenagers achieve their dream. Araújo is now finalizing a feature-length version of the project which he hopes to screen in other festivals. as an outsider of the Panamanian culture and politics, i would love to see stories explaining the corruption of this country. it is very difficult to understand, with both language and historical obstacles, what are the driving forces in this country.